The leaves are turning golden brown and that could only mean one thing...the fall is here! With the arrival of autumn comes our favorite seasonal flavor, PUMPKIN. Chains nationwide are introducing their limited, pumpkin-inspired menus. Bon'App has examined some of these treats, and here is a list of what to try and what to skip! 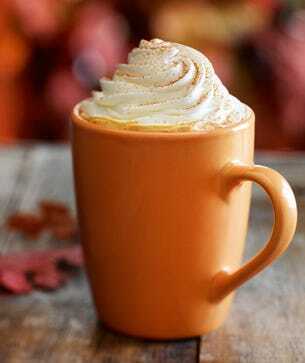 Pumpkin Spice Latte, a fan favorite drink, infuses espresso with pumpkin-flavored syrup and steamed milk, topped with sweetened whipped cream. But a serving of grande with 2% milk and whipped cream has 380 Calories, 8 grams of Bad Fat, and 49 grams of Sugar. Go lighter by choosing a tall size with nonfat milk and no whipped cream, which has 200 Calories, 0 grams of Bad Fat, and 37 grams of Sugar. 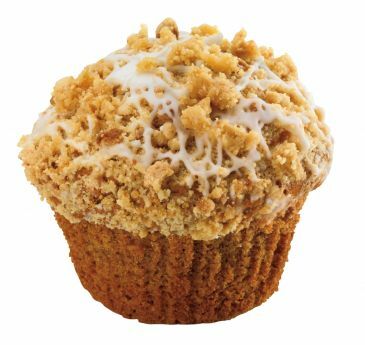 Pumpkin Muffins, which is topped with creamy white icing and sweet streusel crumbs, pack 550 Calories, 5 grams of Bad Fat, and 41 grams of Sugar, while Pumpkin Donuts have 360 Calories, 10 grams of Bad Fat, and 20 grams of Sugar. Skip these and have the Pumpkin Munchkins instead. Each of these bite-sized treats have 60 Calories, 2.5 grams of Bad Fat, and 4 grams of Sugar. Just be sure to limit your serving! The smoothie chain's Pumpkin Smash, which blends up pumpkin spice base (pumpkin, nutmeg, and cinnamon), frozen yogurt, and soy milk, has 390 Calories, 0 grams of Bad Fat, and 75 grams of Sugar. Opt for the Great Pumpkin Swirl Whirl'n instead to cut down on your Sugar intake. This low-fat vanilla frozen yogurt treat, which features pumpkin, cinnamon, and nutmeg spices, has 180 Calories, 2 grams of Bad Fat, and 25 grams of Sugar. Good thing that the Pumpkin Latte is offered without the bad fat. It's difficult to lose weight as it is, especially during the Holidays.